There’s something rather satisfying about mountain biking point to point, that feeling of actually getting somewhere definitely adds to the experience especially if the route still includes some truly awesome Peak District mountain bike riding. 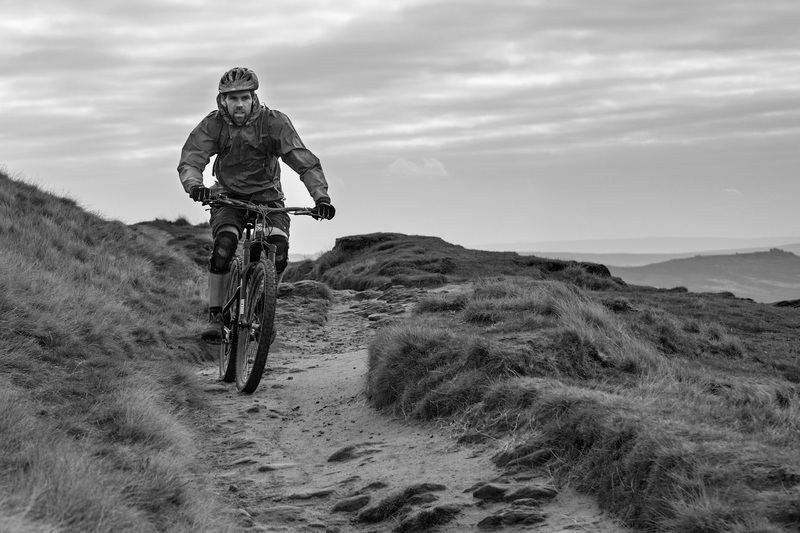 We have put together two adventurous ‘Tours de Peaks’ – unique to Peak District Mountain Bike Guiding. 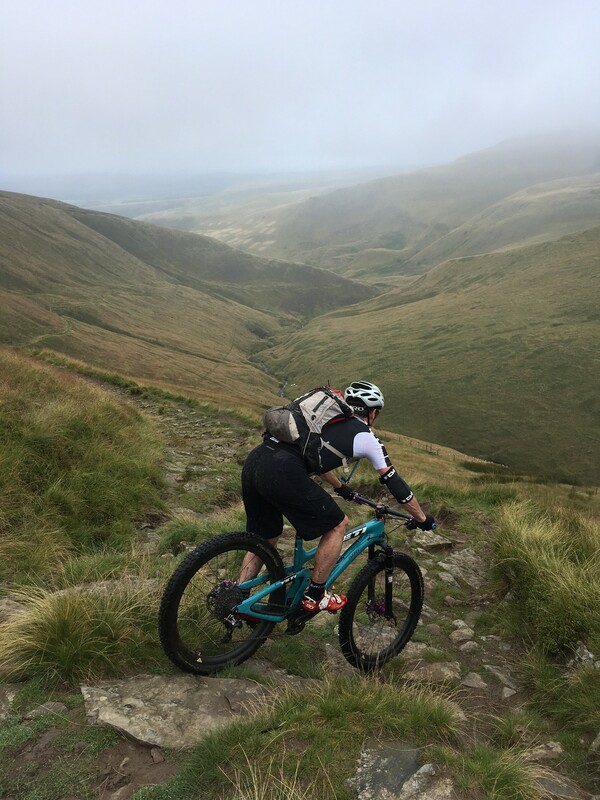 Both start in Chinley on the Western edge of the Peaks and finish all the way in Sheffield in the East – taking in some super riding and stunning scenery along the way. They can both be ridden over 2 or 3 days depending on whether you’d rather sit back and soak up the views or push yourself to the limits. For further information on the ability required for these tours see our Trail Grade Guide page. 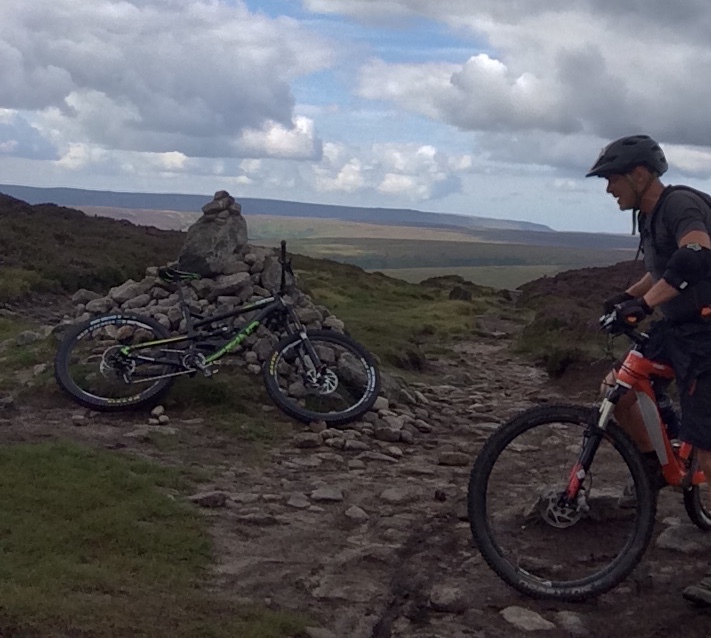 This route is no walk in the park and takes in some classic climbs and fantastically-fun descents including Chinley Churn, Roych Clough, Hollins Cross, Whinstone Lee Tor and Blacka Moor among others. Over 3 days you’ll get 4 or 5 ups and downs over 25 miles with approx 2,500ft of climbing per day. Fit it into 2 days and that means 6 or 7 hills, circa 35 miles and 4,000 ft of ascent a day. 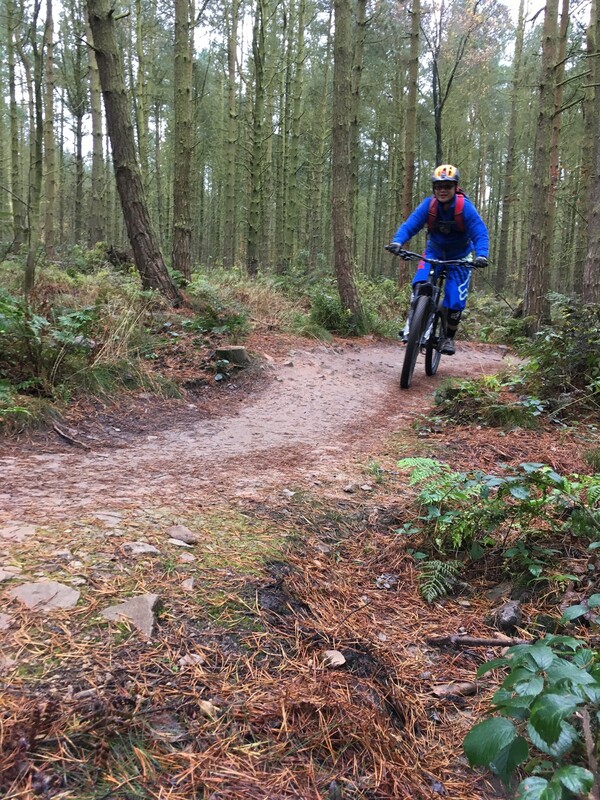 This is not a route for the faint-hearted, it takes in all of the most technically challenging trails Peak District mountain biking has to offer including Jacob’s Ladder, The Beast, Doctor’s Gate, Cut Gate and Stanage Plantation to mention just a few. In terms of stats we’re looking at 30 miles and 3,000ft elevation gain per day over 3 days, or 45 miles and 5000ft a day if you squeeze it into 2 days.